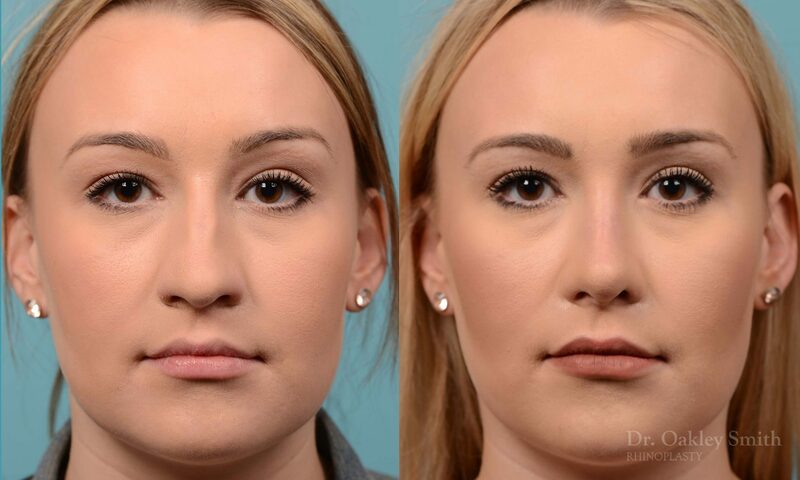 This lovely young female patient found Dr Oakley Smith on RealSelf. She wanted a softer look. She felt her tip was large and ‘harsh’. Also she didn’t like her tip drooping so much. She was okay with the overall size, although she thought it could be a bit smaller. 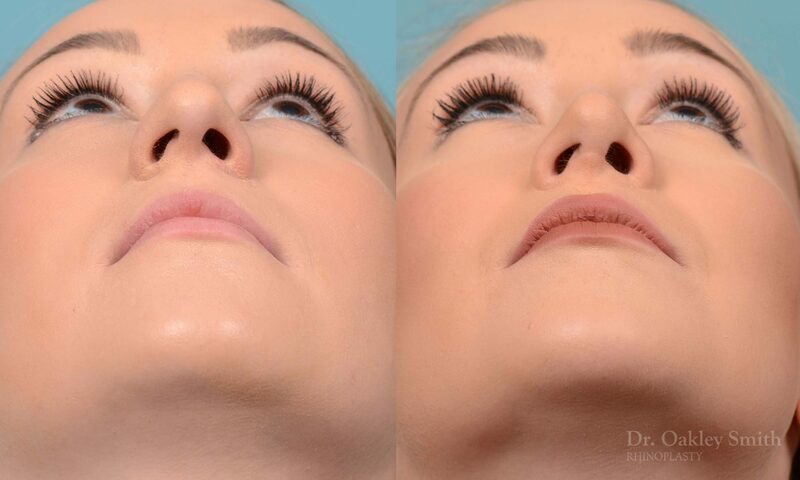 She noticed heavy breathing when sleeping and some restriction of her right nostril during the day. During surgery, Dr Oakley smith was able to de-project her tip by 3.5 millimetres. This is a mild to moderate amount. 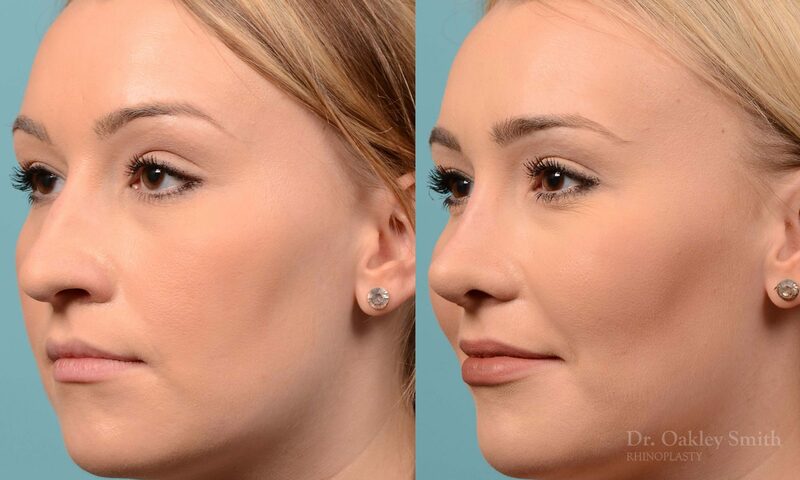 The ridges on her bridge were softened and her nasal bump was replaced with a soft and feminine profile curve. The roundness of her tip was better refined and tip defining points were created. Her tip was slightly rotated. Not all corrections could be achieved. For example her nostril asymmetry wasn’t improved. 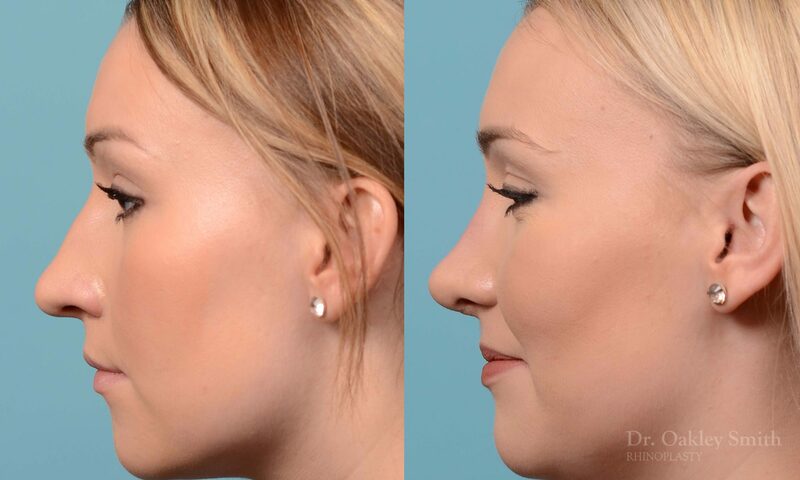 Also the columellar scar has a minor stop irregularity seen on profile. 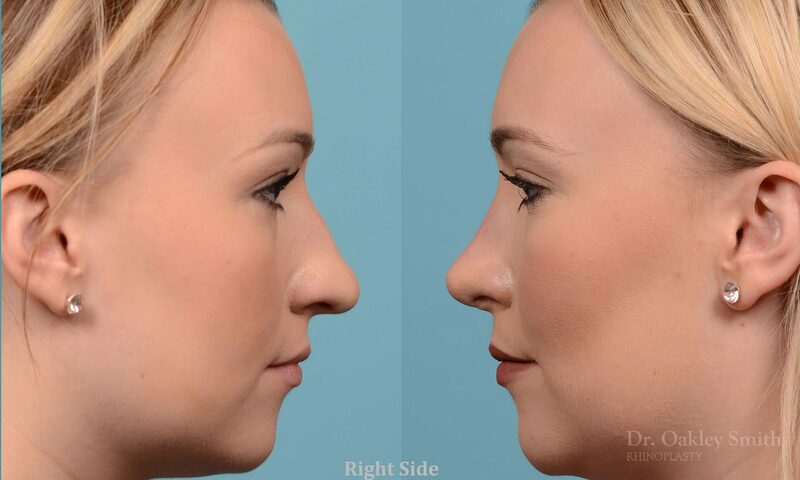 Rhinoplasty creates improvement, not perfection. If a patient will be happy with the improvements discussed with Dr Oakley Smith and not focus on minor irregularities which almost always occur, then the experience will be positive and she will enjoy her better appearing nose. This joy comes from a basic human sensation of feeling good when knowing you look good. Some doctors call it ‘psychiatry with a scalpel’! A much smaller group of patients do not derive joy from their rhinoplasty journey because they aren’t able to let go of focusing on the small imperfections which nearly always occur. They ‘can’t see the forest because of the trees’. They obsess over these minor issues and they block the patient’s ability to see beyond them to the overall improvement in the shape of their nose. Intellectually they recognize this improvement, but emotionally they are prevented from enjoying it. It’s important to reflect on your personality and decide if you can ahead of surgery if this could occur to you. 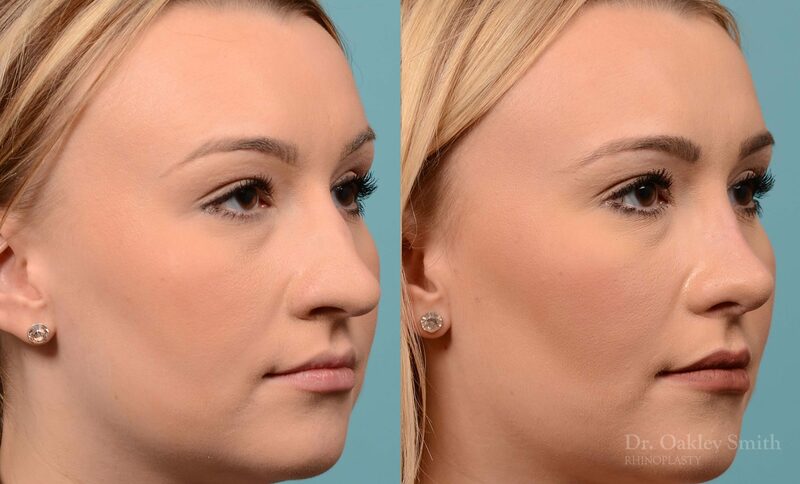 Before and after rhinoplasty pictures by Dr Oakley Smith a well known and respected Toronto rhinoplasty expert.